I donâ€™t know how they do it, but my kids always manage to mash, or otherwise ding dent and mangle our lampshades. 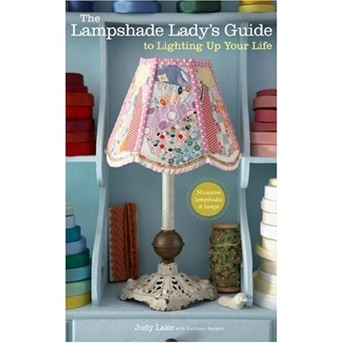 I was quite glad when I was sent a copy of The Lampshade Lady’s Guide to Lighting Up Your Life: 50 Custom Lampshades and Lamps by Judy Lake. With this easy to follow and incredibly beautiful illustrated guide, I can give them a completely new style or at least work on replacing them!! 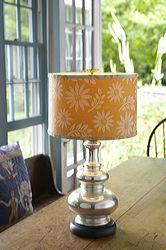 I just wish I had more time to make more of these funky and stylish lampshades Judy describes in her book. With all the fabric pieces that I have collected lately I would finally give them a purpose! Judy Lake has written a craft book in the real original sense, a book about a craft that she has perfected to an art. The love for her art shows in every detail and on every page. The book is easy to follow, features terrific photos, and best of all, it provides a treasure trove of fresh ideas. So if you are like me and in need of some new lampshades, or just want to restyle your current ones, which is a really easy way to update the look of a room, then this book is for you! 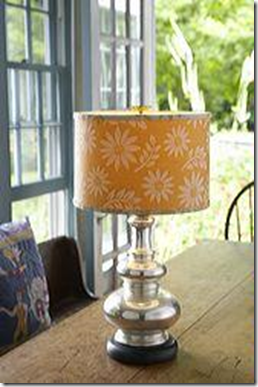 Lampshades! It seems every time I move more of them bite the dust. This book really looks interesting.